Go to Israel with The Rebel! Join Ezra Levant, Katie Hopkins & More! Want to get the “straight dope” on the middle east and Israel? 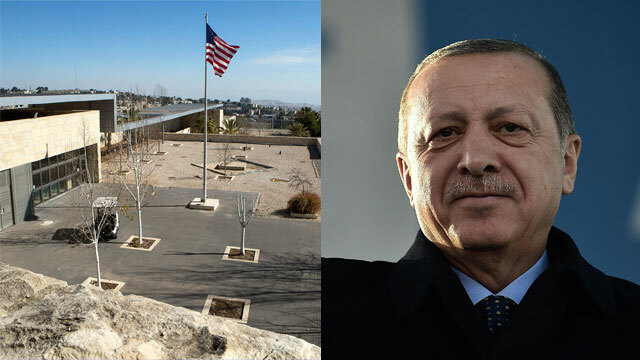 The Turkish Foreign Affairs Ministry attacked the United States Saturday over its announcement the previous day of its intention to inaugurate the US Embassy in Jerusalem this coming May, to coincide with Israel’s 70th Independence Day celebrations. The ministry’s message said the American decision insisted on damaging peace and disregarded decisions objecting to the move by the United Nations and Organization for Islamic Cooperation (OIC). In a statement, Turkey’s Foreign Ministry said the decision was “very worrying”. The US State Department said on Friday it would open an embassy in Jerusalem in May to coincide with Israel’s 70th Independence Day and that the embassy will operate out of the current American consulate building in the capital’s Arnona neighborhood. The consulate’s work will continue as usual, and the US will continue providing consular services at the premises of the existing building, including issuing visas and receiving American citizens. In December, President Recep Tayyip Erdogan hosted an OIC summit of more than 50 countries in Istanbul, where Muslim leaders condemned the US decision to recognize Jerusalem as Israel’s capital. State Department spokeswoman Heather Nauert said that US Ambassador to Israel David Friedman will begin working at the Jerusalem complex and that a new embassy will open by the end of 2019, while the search for a permanent site for the embassy was ongoing. “We are excited about taking this historic step, and look forward with anticipation to the May opening,” Nauert said. Palestinians were irate upon learning of the American announcement, and said it could destroy the prospect of a two-state solution to the Israel-Palestinian conflict. He further lamented the fact the move would coincide with the Nakba Day—the 1948 Palestinian exodus, or how the Palestinians refer to the establishment of Israel. Elior Levy, Moran Azulay, Itamar Eichner, Reuters and The Associated Press contributed to this report. The ninth annual Juniper Cobra drill scheduled to take place from March 4-15, will be the largest IDF and US European Command joint exercise taking place this year. Israel is gearing up for an extensive aerial drill with troops from the United States European Command set to begin in early March, the IDF announced Thursday evening. The ninth annual Juniper Cobra drill scheduled to take place from March 4-15, will be the largest IDF and US European Command joint exercise taking place this year with over 2,500 US troops deployed in Europe participating alongside 2,000 Israeli Aerial Defense troops, logistics units, medical forces, and additional IDF units. The last Juniper Cobra, which occurred in June 2016 and was seen as the “premier exercise in this region,” saw over 3,000 American troops taking part. The drill is also considered the “flagship” exercise of the Israel Air Force’s Aerial Defense Division. Additional joint exercises between Israeli and American troops will continue after the completion of the drill through the end of March, said the IDF’s Spokesperson’s Unit. The country’s defense establishment has undertaken extensive preparations for the exercise in recent weeks, including the reception of American forces to Israel via both air and sea. “Juniper Cobra 2018 is another step in improving the readiness of the IDF and the IAF in particular to enhance their operational capabilities in facing the threat posed by high-trajectory missiles,” said Brig.-Gen Zvika Haimovich, the IDF’s Aerial Defense Division head. In early February, the IDF confirmed to The Jerusalem Post that the large-scale twelve-day drill will simulate a massive missile attack on the Homefront from both the Gaza Strip and the north and will be led by the Israel Air Force. The embassy opening will coincide with Israel’s 70th anniversary. 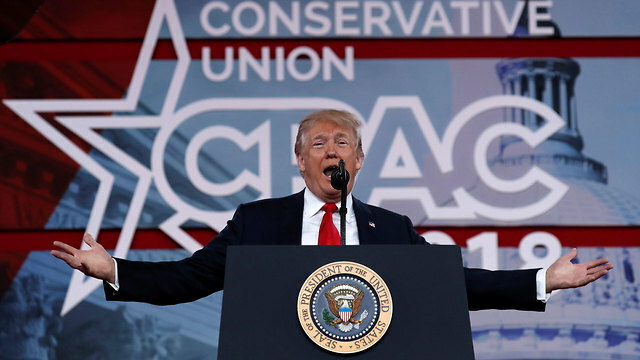 WASHINGTON — The Trump administration will officially relocate the US embassy in Israel from Tel Aviv to Jerusalem in May, timed with Israel’s 70th Independence Day, a State Department official confirmed to The Jerusalem Post on Friday. The official was responding to a message on Twitter by Transport Minister Israel Katz, who seemed to confirm the move would occur in the spring. I would like to congratulate Donald Trump, the President of the US @POTUS on his decision to transfer the US Embassy to our capital on Israel’s 70th Independence Day. There is no greater gift than that! The most just and correct move. Thanks friend! US officials have been saying for months that they intend to move the embassy to Jerusalem before the end of this calendar year – a midterm election year in the US. The State Department continues to scope out sites and architects for the construction of a larger, permanent embassy in Jerusalem. “Those consular operations, including American citizen and visa services, will continue at the Arnona facility without interruption, as part of the Embassy,” Nauert said. “Consulate General Jerusalem will continue to operate as an independent mission with an unchanged mandate, from its historic Agron Road location. Initially, the interim Embassy in Arnona will contain office space for the Ambassador and a small staff.